Great place to treat myself after so much traveling! Loved that they have the shuttle to and from the airport. Perfect for my first night to Barcelona! 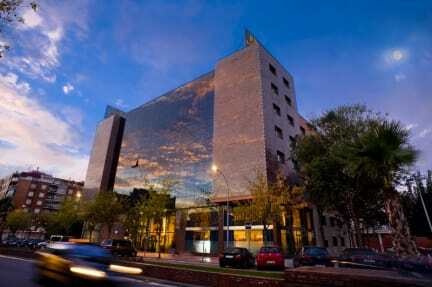 This is a nice modern hotel, close to the airport, but a quick (20 min) cab ride to downtown Barcelona. It was clean, staff were friendly and helpful. The airport shuttle was convenient. My family stayed in two adjacent rooms. Good food from room service. I wouldn't stay here if you want to be in the action of Barcelona, but for our last night there, with an early flight, the location was perfect. The hotel is very nice and especially for the price. The shuttle service from airport is horrible. We arrived at 10pm and stood at the spot we were supposed to be picked up until 1am in the morning when we decided to take a cab. We called the hotel 5 times for a shuttle. The other hotel shuttle drivers told us we where in the right spot. Night attendant was very rude claiming we were at the wrong spot. The morning attendant however was much more apologetic. 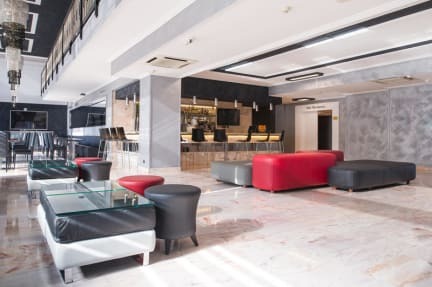 Having a long layover in BCN I booked this hotel for my last night in town because of how close it is to the airport. It is in a bit of a sketchy part of town, however there is a free airport shuttle from the hotel which took only 10 minutes. I enjoyed my stay here. The location was ideal if you want nightlife and shopping, it gets very loud at night. Other than that it was a nice hotel! I wish their jacuzzi had worked while we were there!